The industry’s latest campaigning voice has marked the election of the new Government with a call for action on priorities considered vital for the waste sector and the wider UK economy. Resources & Waste UK (R&WUK) is a joint lobbying initiative announced six months ago between the Chartered Institution of Wastes Management (CIWM) and the Environmental Services Association (ESA). For each one, R&WUK specifies not only what is needed from ministers across all four nations but also how the industry itself can play a part. It has written to Defra seeking a “proactive and open relationship”with the department and whichever minister eventually gets waste and resources brief. Publication of the manifesto coincided with the launch of the European Commission’s consultation on its proposed Circular Economy policy package. 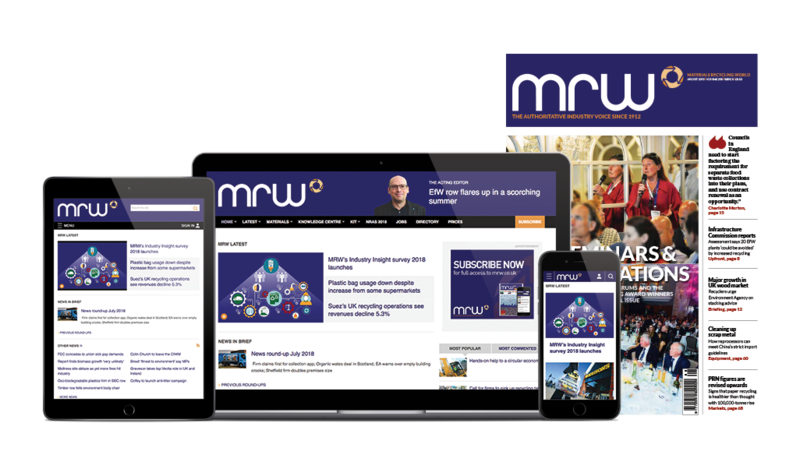 Lee told MRW that the manifesto - the first publication from the new partnership since it was unveiled in November 2014 - came at a time when the industry needed a strong, co-ordinated voice. “This has been a long process with the two organisations coming together and saying: ‘there is not much difference between us’. Hayler said much thought and time had gone into the document. “We are building on recent successes with our two organisations writing joint letters to the government, raising issues such as waste crime. We had success over that with money promised in two Budgets and it shows what we can achieve when we speak with one voice.